Four friends on a journey, that took them to the lanes of sleepless nights, with dreams yet to attain. Even the sleepless nights brought a number of nightmares but the determination to revolutionize the economy kept them going. 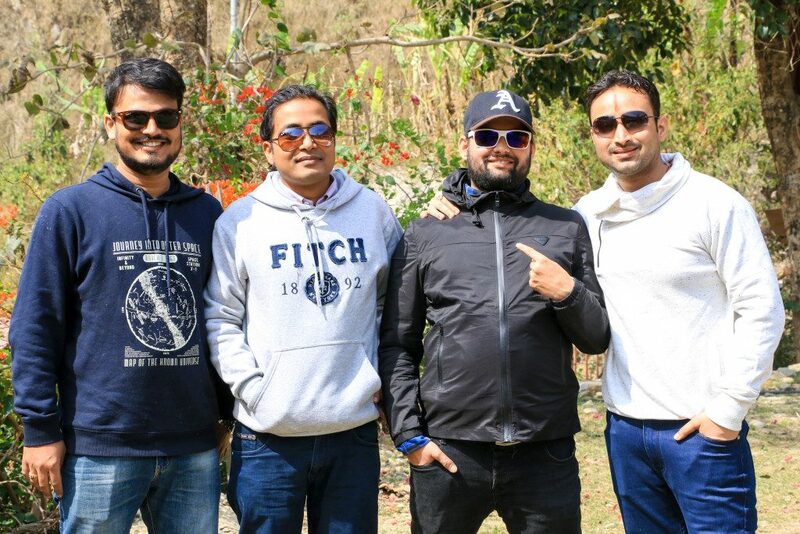 Manish Modi, Amit Agrawal, Arvind Sah and Dhurba Adhikari; the four wheels of one of the startup companies in Nepal are determined to change the way Nepalese live their life. From our dad’s morning cup of tea in the nearby café to our mom’s early morning visit to grocery shops, from our late night dinner parties with our friends to our friend’s gifts on our birthdays; all these beautiful memories essentially hold one thing in common : “the cash in our Khalti”. This group of four college friends is looking forward to change the lifestyle of Nepalese people where our dad will still go to the nearby café for his early morning tea, our mom will still visit the grocery shops for vegetables, we will still go to late night dinner parties, we will still receive gifts from our friends but in the near future without “cash in our Khalti”. Cashless economy resembles an economy where most of the monetary transactions are done digitally without involvement of physical cash. From individual’s primary cash transactions to corporate house monetary transactions which are done through electrical devices in any form is the outline of a cashless economy. Such economy offers a range of benefits. It is likely to bring a lot of benefits at individual’s level such as ease in tracking records of spending and saving habits, easy payment access in online shopping, saves time and cost in payment, establishment of financial profile of potential loan clients and many more. It’s not only people in urban areas who can benefit from cashless economy. In fact, a farmer in Humla does not need to travel the challenging landscape just to pay the utility bills. In a macro level, cashless economy is a pioneer towards combating corruption, establishing distribution channels, facilitating proper e governance and accountability. For instance, April 2015 earthquake left many people homeless so, foreign aids and government funds were seen as a rescue to many. However, lack of proper channels and safeguard of the monetary aids limited people from getting access to their own funds. 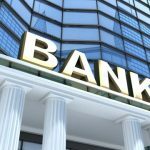 A cashless economy can play a vital role at times of need to channel the money from lender to receiver. Besides, our neighboring countries such as India and China have already initiated towards a cashless economy through PayTm and Alipay. Both of these countries are associated to Nepal in terms of trade so, in order to match up with their pace of cashless economy, a transformation is equally needed in our country. This transformation can be further enhanced by digital wallets. Digital transaction in Nepal is expected to be less than 1% of the total transaction. In average, Khalti alone has 10 thousand daily transactions. In Nepal, there is no record of daily digital transactions from the regulatory bodies. In India, the digital payment giant; PayTm claimed to have contributed 68 million UPI transactions in February, 2018. Cashless economy is not a fortnight progress that a developing economy like ours can achieve. It will take time, effort and patience for the establishment of such economy in Nepal. 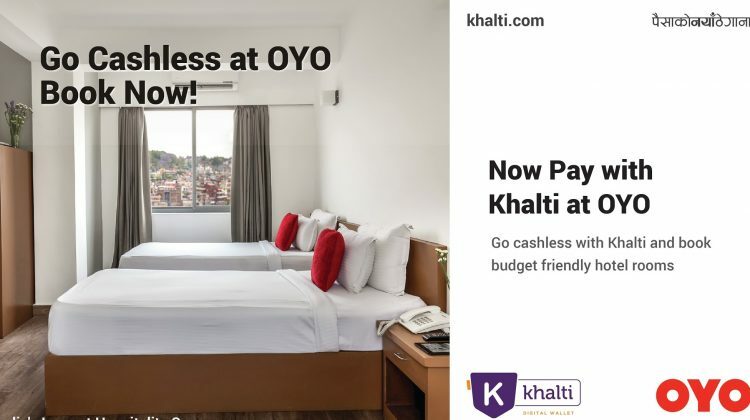 Simply take an example, Khalti, a small part of this cashless economy did not evolve within a day or two. It travelled a long journey before becoming a known name in the FinTech industry of the country. 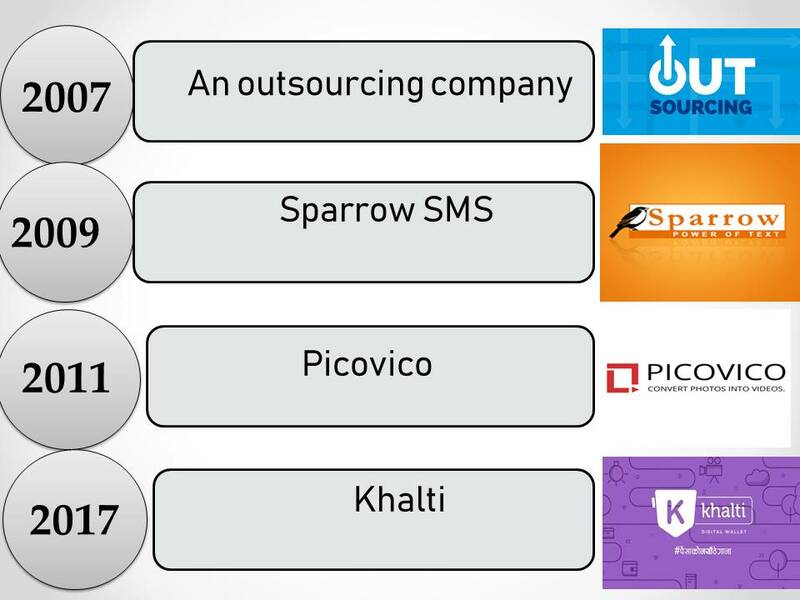 From an outsourcing company to Sparrow SMS to Picovico, Khalti has travelled a long path. 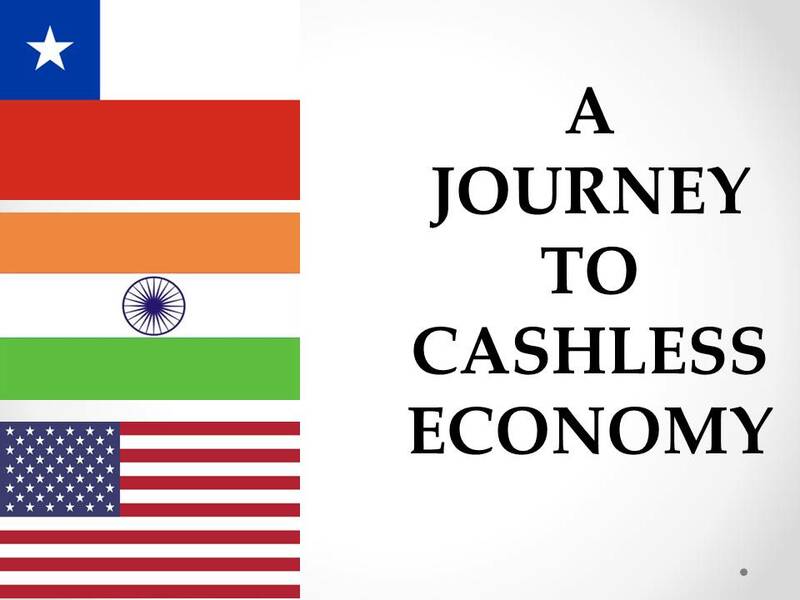 Its founders came up with the idea of digital wallet as they visited countries like Chile, India and USA and learnt about the cashless economy in international market. However, they waited before initiating the same in Nepal because the national market was yet not ready for a cashless journey. Cashless economy is not a one-man army game. An economy can go fully digital only when all the parties such as government, banks, merchants, central bank, regulators and public fully support the initiation. Besides, a cashless economy can flourish only in the presence of a number of active digital wallets. With several digital wallets such as eSewa, Khalti, Ipay, Qpay, IME pay, Nepzy and Prabhu Mobile Wallet existing in the FinTech industry, the cashless economy can only boom in the presence of an ecosystem created by these digital wallets. eSewa is considered as the king of digital wallets industry in Nepal. eSewa has taken the first mover advantage in the digital wallet sector. It has alliance with many corporate houses. Ipay is a service of Muncha.com. It has added several airlines, ISP and telecommunication as networks. It is further looking forward to add more services such as payment for insurance companies and school/colleges fees. QPay is also one of the digital wallets in the country. It aspires to a paradigm shift in the payment landscape. It claims to have 45+ partner banks, 1.3 thousand+ withdrawal, 1.3 thousand+ QPay merchants and 10 thousand+ QPay users on its website. Its website is interactive and appealing. IME pay is one of the mobile wallets offered by IME Digital Solution Limited. IME pay has also created networks with several merchants. However, its linkage with restaurants is what differentiates the wallet from the rest. 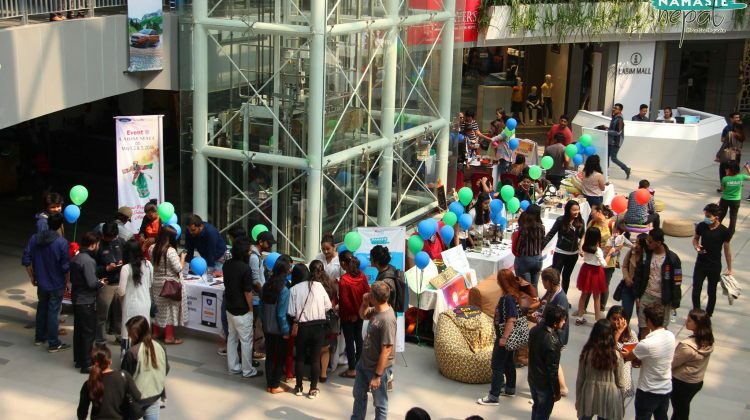 It has restaurants like Embassy, Oriental kitchen, Genesis, Mughal Empire, Mela, Tamarind, Burger Shack and Dalle. Nepzy is another digital wallet that aims to bridge the gap in terms of online payment. Nepzy provides several benefits of payment services. It is also currently running Refer and Earn scheme. Prabhu Mobile Wallet is another easy and handy method of digital transaction. The wallet has a per day transaction limit of NPR 50,000 and per transaction limit of Rs 10,000. It has established networks with several merchants. The aspiring digital wallets should realize cash based economy as their major competition instead of competing with the existing digital wallets. The audience that digital wallets cater is large and untapped. Few digital wallets will never be able to meet the demands of a cashless economy. A low barrier of entry is an essence in the Fintech industry in order to welcome new digital wallets in the market. However, the new digital wallets seeking for opportunity to enter in the market should be prepared- the road ahead is rough and tough. 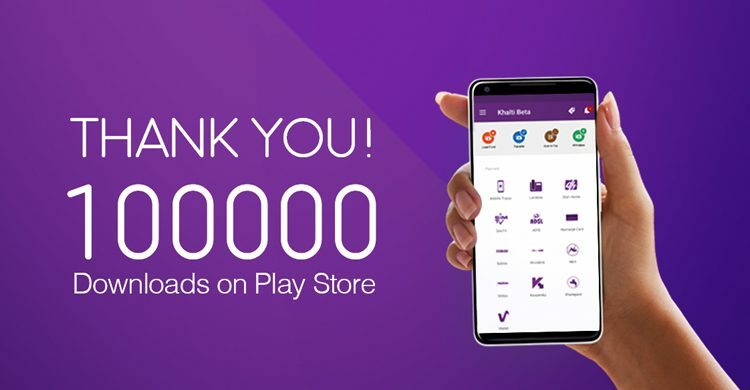 Khalti has been able to cross 1 lakh downloads within a year of its establishment. Its timeline shows it evolved with years of experience and practice. However, there is also another key factor towards success. The founders of Khalti proved a popular Nepali proverb “Hune Biruwa Ko Chillo Paat” as a real world implication. While today’s generation considers internship as an (un)paid labor, Mr. Modi and his friend decided to undertake the same internship as their stepping stone towards a successful venture. Even the internship supervisor had little expectation from getting the task of decoding NTC call logs accomplished by these engineers of Pulchowk Campus; nevertheless, they worked day and night especially nights without load shedding to complete the assigned task. It was their internship days when Janaki Tech. was registered in order to sell the billing system to NTC. While our economy prepares itself from cash to cashless; a number of hurdles lie on the way. One of the major hurdles is the targeted clients of digital wallets. The cash centric audiences have engraved cash culture within them. The mindset of these audiences who believe cash in hand denotes their wealth is one of the major obstacles that digital wallets are facing. Most of the parents in many households of Nepal still fear that one wrong tap on their mobile phone will be disastrous. Provided this, the potential clients of digital wallets often question the security of their hard-earned money when transferred into these wallets. Until and unless Nepalese let go off the fear of one wrong tap on their mobile phone and cash-centric culture, digital wallet industry will keep on lengthening the break-even point. Besides, transformation in any economy is usually possible when the foundation of an economy is ready. The foundation for any economy is the BFIs. The banks and financial institutes of the country should be open for the collaboration with digital wallets. BFIs must realize their core business of credit, savings, and remittance and let digital wallets handle the micro transactions that banks are often occupied with. Thus, one of the major challenges that digital wallets face is the narrow perspective of some of these banks towards digital wallets. 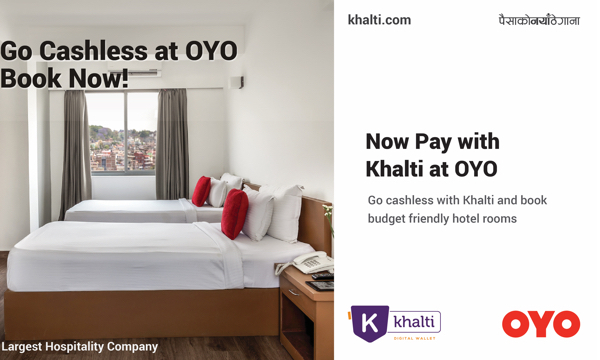 Khalti has been able to collaborate with six banks till this date: Sunrise Bank, Nepal Investment Bank, Machhapuchre Bank, NMB Bank, NIC Asia Bank and Mega Bank. Finally, government’s passiveness towards digitalization has also restricted digital wallets from growing. Government’s initial priorities have always been federalism, constitution and election. 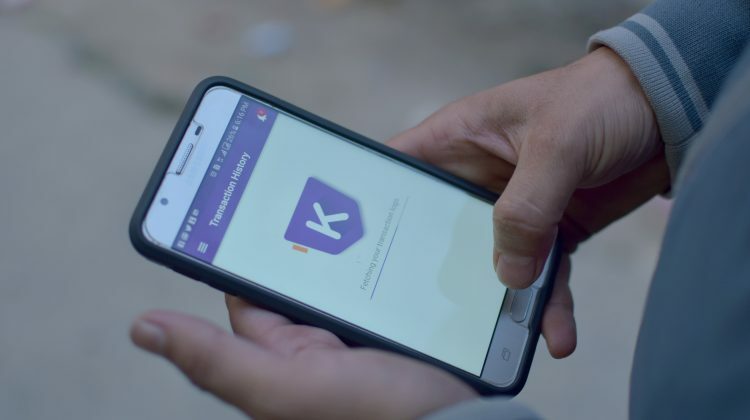 Now, the country has somehow become settled with the policies in terms of federalism, constitution and election, leaders in digital wallets do have expectation of being a priority in the government’s agendas. The new finance minister Yuvaraj Khatiwada’s appointment has further brought positive rays of hope among the leading digital wallets. Cashless economy is still in its infancy in Nepal. A proper support and nurture in the infant stage can make the foundation of a cashless economy stronger. Cashless Nepal does not evolve only with the participation of government, banks and digital wallets. Cashless Nepal won’t make a significant difference merely by recharging one’s mobile phone through digital wallets. It can be attained when every individual and business house of the country relies on digital wallets to make the payment. It starts with schools accepting tuition fees digitally, tenants accepting lease fees through digital wallets, retailers relying on electronic devices to sell goods, online shops avoiding cash on delivery approach, government and private officers receiving salary through digital medium and many more. 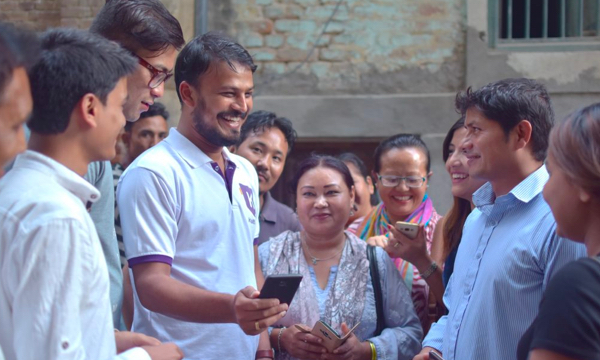 Cashless Nepal is a vision to be carried by all the digital wallets with a mutual goal of replacing cash transaction with digital transaction as a dominant payment system. Above all this, it is a vision to be carried by each individual who transact with cash; meaning there might be no single person above 18 who does not use cash as a daily medium. A cashless Nepal will take time and effort yet the seed of transformation has already been implanted. With the world going cashless, Cashless Nepal is just a matter of time. This article was first published at Share Sansar.